Chairing a high-level committee meeting at New Delhi, union home minister Rajnath Singh announced an additional assistance of Rs 3,048 crores to Kerala, which witnessed catastrophic floods in August this year. The assistance to be disbursed from the National Disaster Relief Fund (NDRF), will also be provided to other disaster ravaged states, in which Nagaland will receive Rs 131.16 crores and Andhra Pradesh Rs 539.52 crores. The Kerala government had sought a compensation of Rs 4700 crores from the centre in the aftermath of the worst floods to hit the state in recent times, which resulted in the loss of 488 lives, hitting at least 14 districts of the state. The centre had sanctioned an amount of Rs 600 crore as an advance amount for relief and rehabilitation work in August for the state. 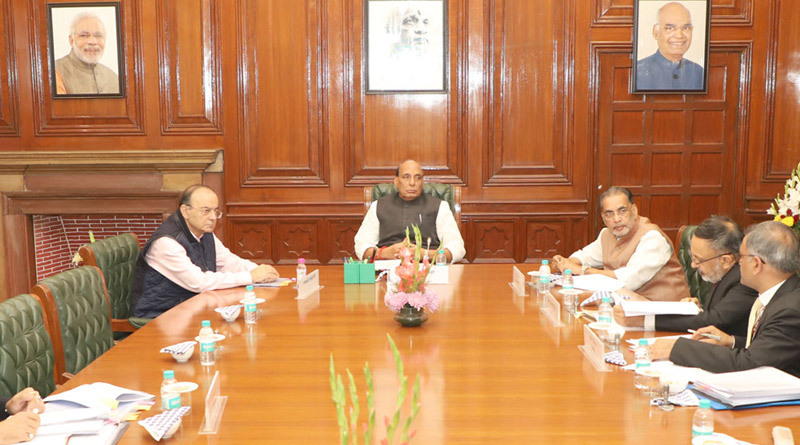 The union finance minister, Arun Jaitley, union minister for agriculture, Radha Mohan Singh, union home secretary, Rajiv Gauba and senior officers of the ministries of home affairs, finance and agriculture were present in the meeting.